(Click to enlarge) Burial of Fr. Theoclitos Triantafilides of Galveston, TX. Courtesy Ss. Constantine and Helen Orthodox Church. 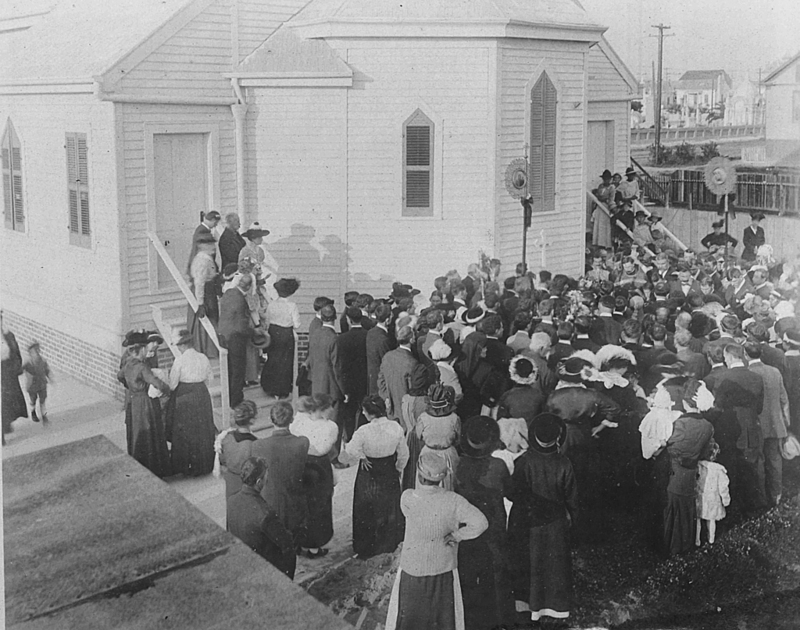 This photo depicts the burial of Archimandrite Theoclitos Triantafilides, the great priest of Galveston, TX, on October 27, 1916. We actually have several photos of this event — all courtesy of Ss. Constantine and Helen parish — but this one particularly interests me because of the individuals standing on the stairs on the right side of the photo. Look closely, and you’ll see that they are black — possibly Copts or Ethiopians. These Oriental Orthodox Christians were members of Fr. Theoclitos’ flock. In fact, this is the earliest evidence I’ve seen for Copts or Ethiopians attending an Eastern Orthodox parish in America. In this way, as in so many others, Fr. Theoclitos was decades ahead of his time — today, it’s quite common to meet Copts, Ethiopians, and Eritreans at an Eastern Orthodox church, but that is a relatively recent phenomenon. Isn’t it more likely that they’re local African-Americans, perhaps neighbors who attended the funeral or who just watched the strange eastern rites from a distance? Nicholas, yes, that makes sense and is definitely the simplest explanation.